In an interview with Axios, Bill Gates warned Apple and other tech giants that they risk the kind of nightmarish government intervention that once plagued his Microsoft if they act arrogantly. The big picture: "The companies need to be careful that they're not ... advocating things that would prevent government from being able to, under appropriate review, perform the type of functions that we've come to count on." Asked if he sees instances of that now, Gates replied: "Oh, absolutely." Why it matters: With the Big Tech companies feeling they're suddenly drawing unfair scrutiny, this is Microsoft's co-founder saying they're bringing some of the problems on themselves, by resisting legitimate oversight. Quote"The tech companies have to be ... careful that they're not trying to think their view is more important than the government's view, or than the government being able to function in some key areas." 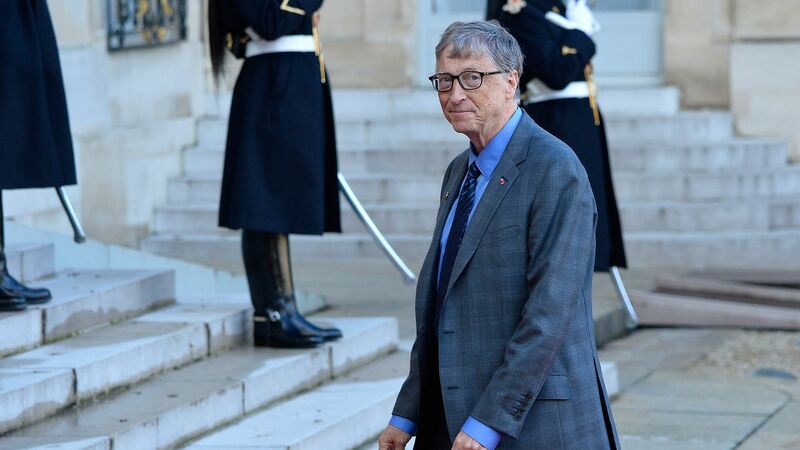 Asked for an example, Gates pointed to the companies' "enthusiasm about making financial transactions anonymous and invisible, and their view that even a clear mass-murdering criminal's communication should never be available to the government." When I said he seemed to be referring to being able to unlock an iPhone, Gates replied: "There's no question of ability; it's the question of willingness." "There's always the question how much technology is empowering a small group of people to cause damage. ... [S]maller groups might have access to ... nuclear weapons or, even worse, bioterror or cyber" weapons. "[I]t's easier for kids to do genetics in a laboratory. That's a really good thing, unless a few people decide to make human-transmissible smallpox and spread that into the world." "A small group can have an impact — in the case of nuclear, on millions; and in the case of bio, on billions. That is scary to me." "Although we disagree with this administration more than the others we’ve met with, we believe it's still important to work together whenever possible. We keep talking to them because if the U.S. cuts back on its investments abroad, people in other countries will die, and Americans will be worse off." Go deeper: Read the annual letter .... Follow Bill Gates' blog, Gates Notes (including his book recommendations).